As the temperatures and the leaves drop, our biologists are stuffing the waters around Virginia with trout for you to catch this fall. 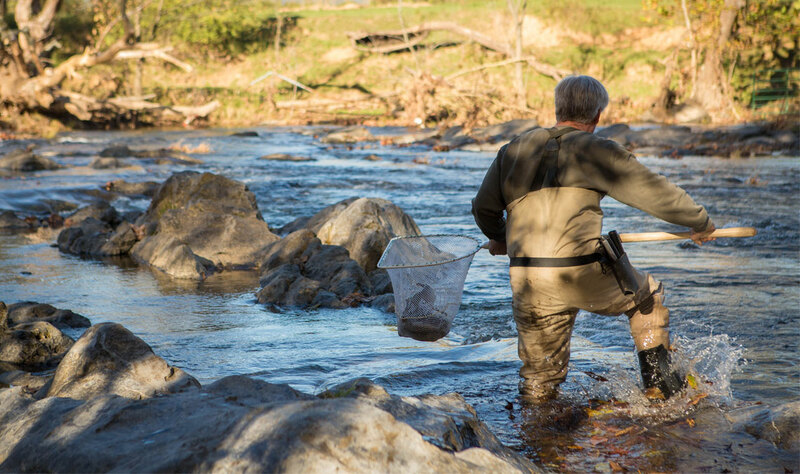 The autumn trout stocking season in Virginia is in full effect. Despite the cooler weather, fall is actually a prime time to fish. Don’t miss out on the best time of the year to catch your limit. Our biologists stock frequently throughout the season, and DGIF has a Daily Trout Stocking Schedule to help you plan ahead for your next trip. If you aren’t sure where to go to catch trout, check out our Stocked Trout Interactive Map to find your destination spot to cast a line this fall. We want to see your fishing success this fall! Don’t forget to tag us in your photos on Instagram @virginiawildlife. Taking someone new with you? Take advantage of our new Refer a Friend program!